Happy Friday! I’m linking up with some of my favorite blogs around the internets which you can find in the tab above! Have a magical 4th of July Weekend! We finally decided that we’re going to do a weekend away! I’m so excited. We’re going to go just a couple of hours away to the Lake of the Ozarks to relax, and go to my favorite winery. Hubs informed me this week he wanted to take up drinking wine. Okay – twist my arm! Boden is having a great sale! If you’re a frequent Boden shopper, you know that Nordstrom also carries some of their collection. Well, to get free shipping, Nordstrom will price match anything that is on Boden site if the size you need is there! I ended up picking up a few goodies for Miss H for next summer. How darling is that dress? 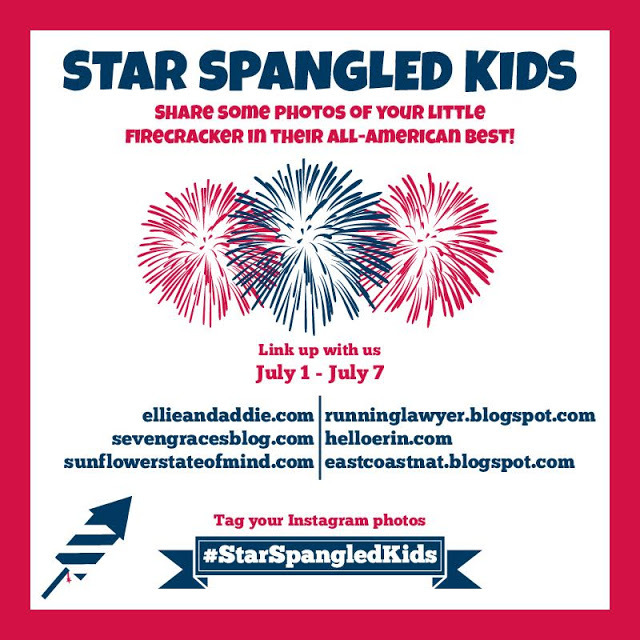 3) #StarSpangledKids – Miss H has lots of adorable patriotic wear to sport this weekend! Be sure to follow me on Instagram for all the cuteness, and I’ll do a full recap later this week! This is what she wore yesterday – a super cute seersucker dress from Lolly Wolly Doodle! This song by twenty one pilots has been on repeat along with Bad Blood all week! Enjoy! I am glad you told me about the bode sale! I have had a Boden gift card forever and just have not spent it… maybe this is a good time! What winery is your favorite down there? I'm headed there next weekend! I definitely need to check out the Boden sale! And thanks so much for linking up, Miss H is adorable as always!! !